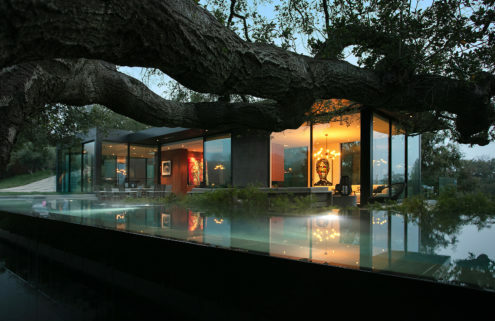 What it lacks in privacy this post-and-beam glass house by Craig Ellwood makes up for in drama. 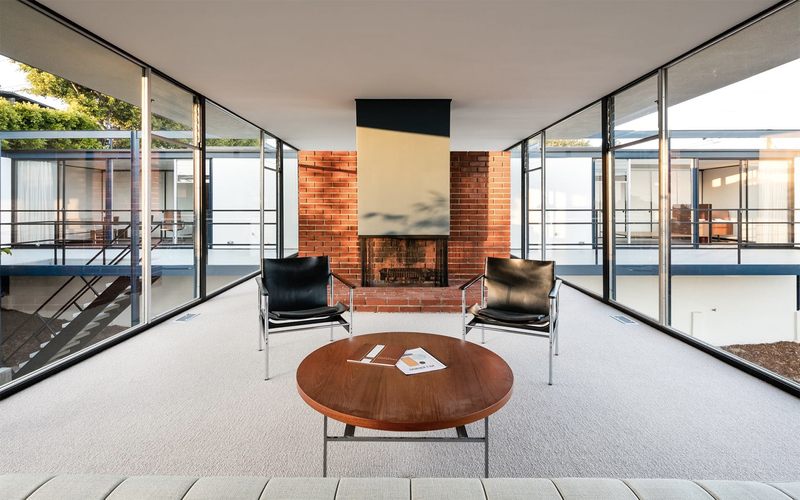 The Smith House was built in 1958 by the Modernist architect – one of the key contributors to the Case Study House programme – and sits on a 9,648 sq ft plot, jutting out over a canyon in Los Angeles’ Brentwood. 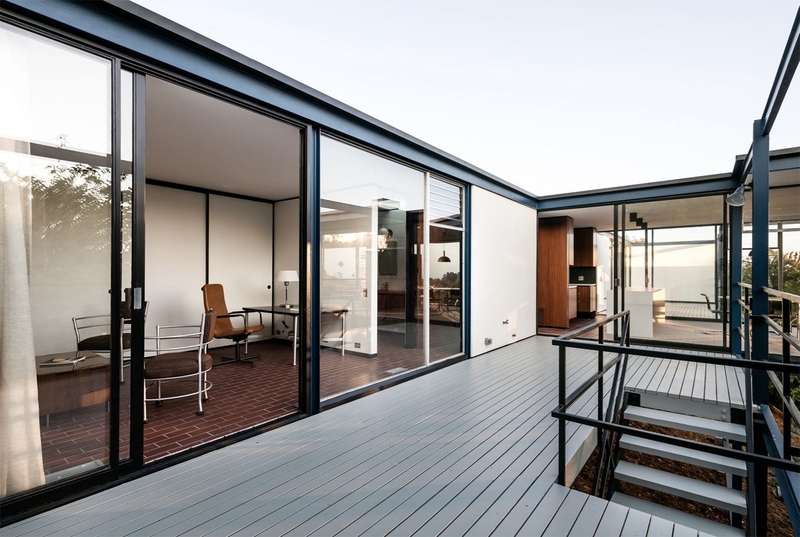 It has been carefully restored by architect James Tyler, who has polished its midcentury bones. 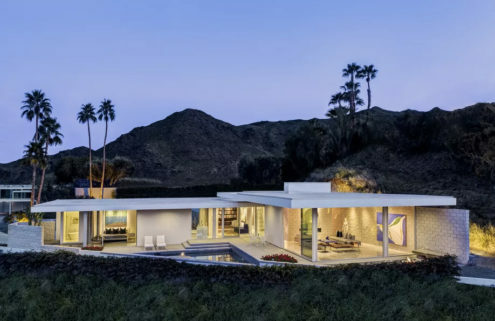 The Los Angeles property’s unusual T-shaped floor plan and extensive floor-to-ceiling glass walls make the most of far-reaching views towards Santa Monica Bay. Communal living areas are set inside the vertical volume of the ’T’, enjoying the best vistas, while bedrooms fill the head. A simple colour scheme lets Ellwood’s material palette shine. 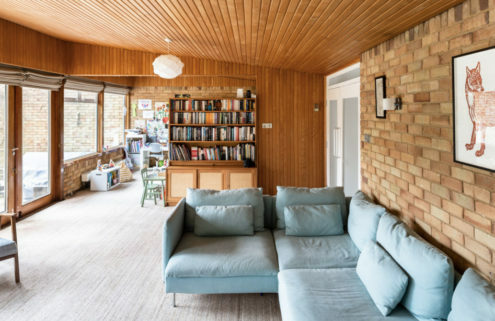 Red brick floors, painted black beams and wood panelling offer classic midcentury touches, and a standout feature is the huge brick fireplace which divides the living room and dining room. 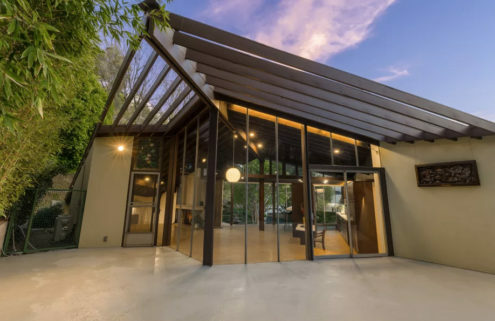 The Smith House is on the market via Deasy Penner for $3m, and comes wrapped in 530 sq ft of decking, including a children’s play area and outdoor dining terrace.